Exhibition Game with the Yankees and the new season brings a new Podcast! The all too familiar scene of Nationals Park baseball is a reality again as the Washington Nationals returned to Washington, D.C. for the first time since the Winterfest fan experience in December. 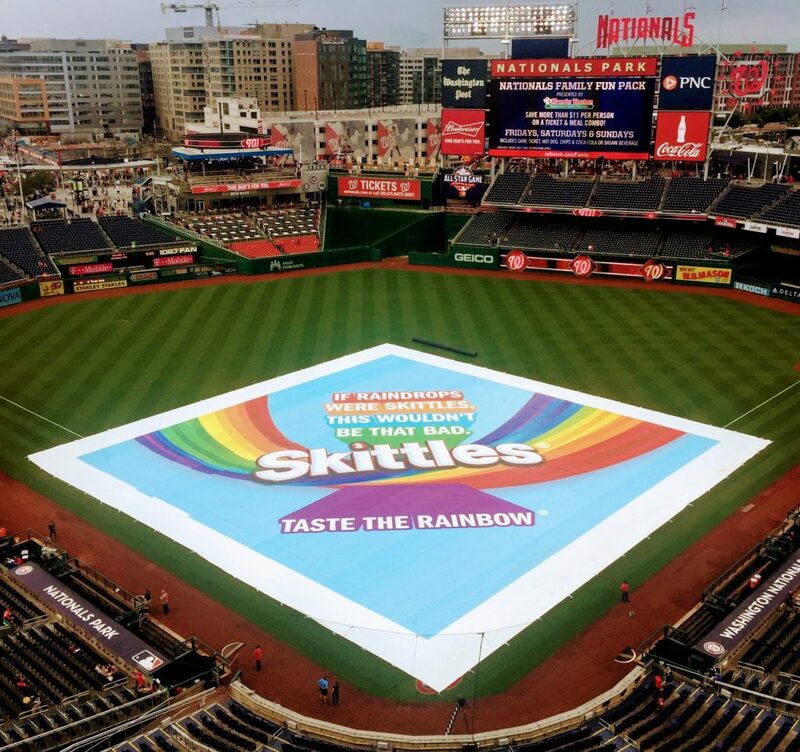 Part of the familiar look of Nationals Park is the threat of rain if you can believe that, and visions of Skittles advertising on the tarp could be on display once again if that sponsorship was renewed. The Yankees are the Nationals opponent in this exhibition game which is a real treat for the fans who could get to see players like Aaron Judge, Troy Tulowitzki, and Giancarlo Stanton. All of that only works if the weather cooperates. Let’s hope Mother Nature cooperates. Check in often with the @CapitalWeather people on Twitter. When you have some time during your day, the TalkNats Podcasters have put together the first episode of 2019. There is some interesting thoughts on BH from the Washington Post’s Neil Greenberg and some inside scoop from Kelly Collis of The Tommy Show. Many thanks to Kevin Nibley and Bryan King for a great Podcast experience. The Nationals finished the Grapefruit League with a 16-12 record with 2 tie games. It was a very well run camp, and the regular players and the top prospects really shined. The lows were few like the 29 defensive errors charged, and even with the players who struggled you can dig through the stats to find some sunshine among the clouds. For instance, both Brian Dozier and Ryan Zimmerman struggled against right-handed pitched, but they crushed left-handed pitching at 1.362 and .973 OPS respectively. If you believe Spring Training stats mean a lot then expect Yan Gomes to challenge Ted Williams‘ .400 batting average. Gomes finished with a .395 mark in the Grapefruit League, and Adam Eaton edged out Gomes for the OPS crown by 0.001 at a lofty 1.163 which would probably earn him the MVP if he could do that for a full-season. The best news is the relative health of the team. Koda Glover, Howie Kendrick, and Michael Taylor were banged up, but as general manager Mike Rizzo said the team had some injuries last year which kept star Daniel Murphy off the roster to start the season, and Adam Eaton’s health was in question. “That’s always a concern in spring training [to be] leaving here with a healthy group of guys,” manager Dave Martinez said. If today’s game is played, the Nats plan on starting Anibal Sanchez against Yankees’ lefty Nestor Cortes. If you do not know Cortes, he wears jersey #76 which gives you an indication of who the Yankees are starting. There is certainly a different feel that was talked about with this team, and general manager Mike Rizzo sounded as optimistic as we have heard from up at this point in time. Enjoy this optimism while you have your coffee and a jolt of caffeine.